Like a jazz player beating out a drum roll, a woodpecker uses its bill to rap out a brisk series of notes. Early spring resounds with the percussive hammering of woodpeckers. Their rhythmic drumming says to other woodpeckers, "This is my territory!" We also hear them knocking on wood when they carve holes in trees to create nest cavities or reach insects. For any woodpecker, it’s all about proclaiming a signal as far and as loud as possible. 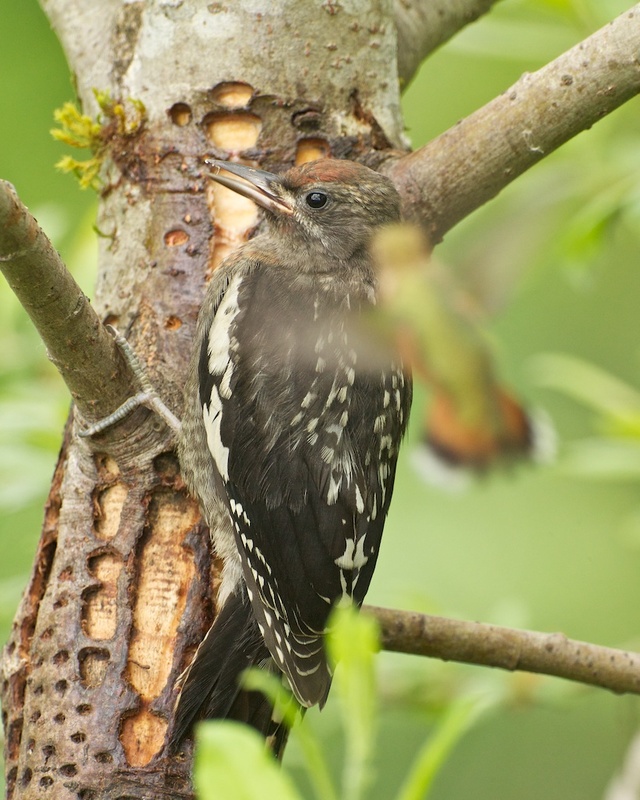 Look for Yellow-bellied Sapsuckers, like this one, in the Northeast and farther north, and Red-breasted Sapsuckers in the West. 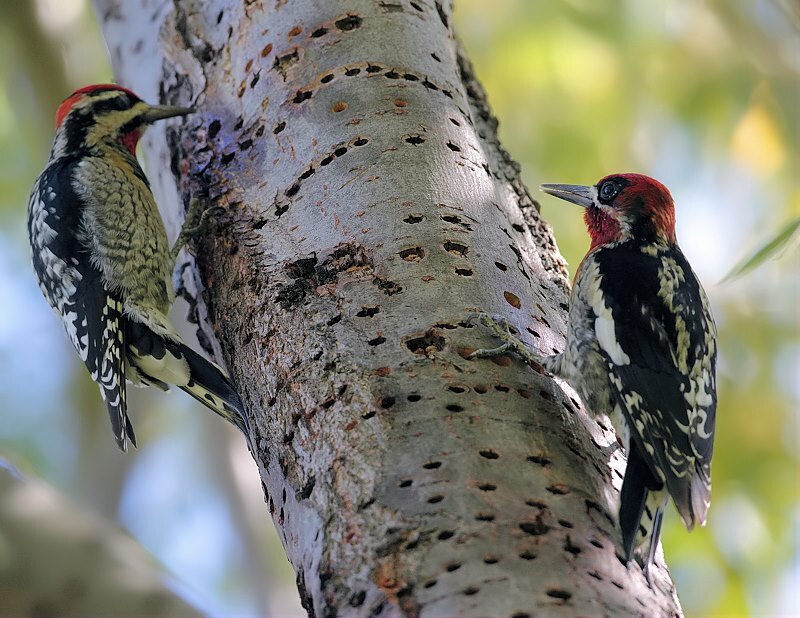 We also hear woodpeckers knocking on wood when they're carving holes in trees to create nest cavities or extract insect prey, but these whacks are more methodical [Sound of a woodpecker excavating]. Woodpeckers offer a fascinating cast of drummers. A hefty Pileated Woodpecker lets go a resounding tattoo against a hollow trunk [Pileated Woodpecker drumming]. 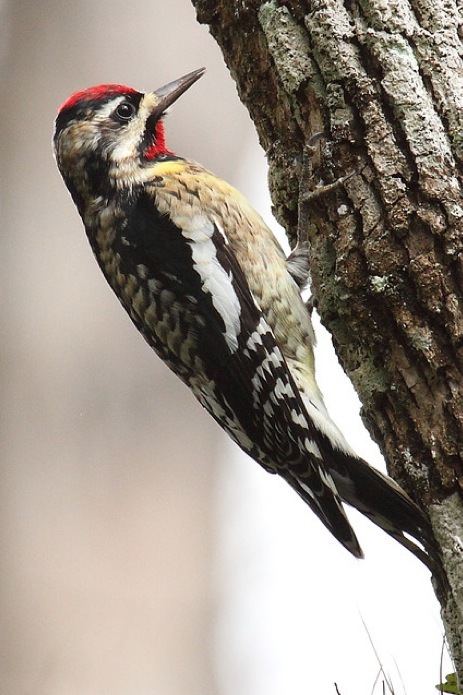 A Yellow-bellied Sapsucker seems to be signaling in Morse code, as it snaps its bill against a stub of dead branch [Yellow-bellied Sapsucker drums]. And the little Downy Woodpecker’s drum roll seems rather modest – rather short and not too fast. [Downy Woodpecker drums]. For any woodpecker, it’s all about proclaiming a sound signal as far and as loud as possible. And as it searches for the most resonant drum, it might just find that your metal rain-gutter makes the best music [Red-breasted Sapsucker drumming on metal]. Bird audio provided by The Macaulay Library of Natural Sounds at the Cornell Lab of Ornithology, Ithaca, New York. Downy Woodpecker and Red-breasted Sapsucker drumming and foraging Pileated Woodpecker recorded by G.A. Keller. Pileated Woodpecker recorded by D.S. Herr. Yellow-bellied Sapsucker recordist not known. 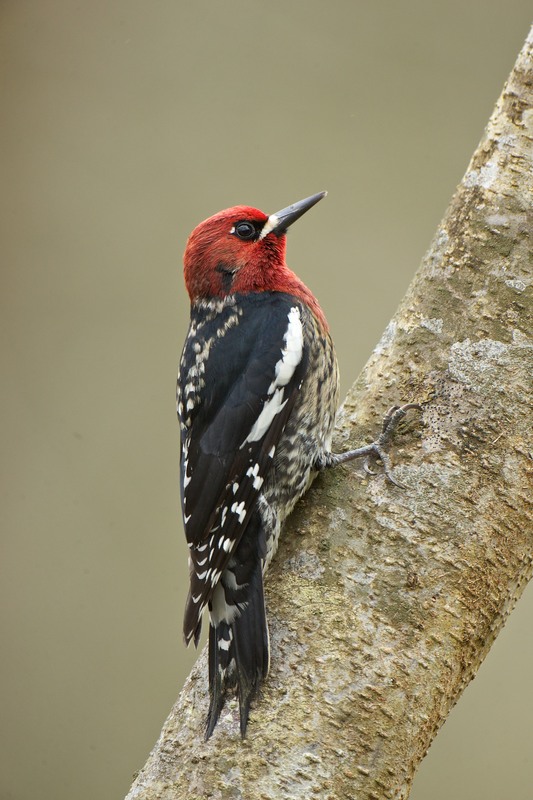 Red-breasted Sapsucker drumming on metal recorded by Susannah Buhrman. 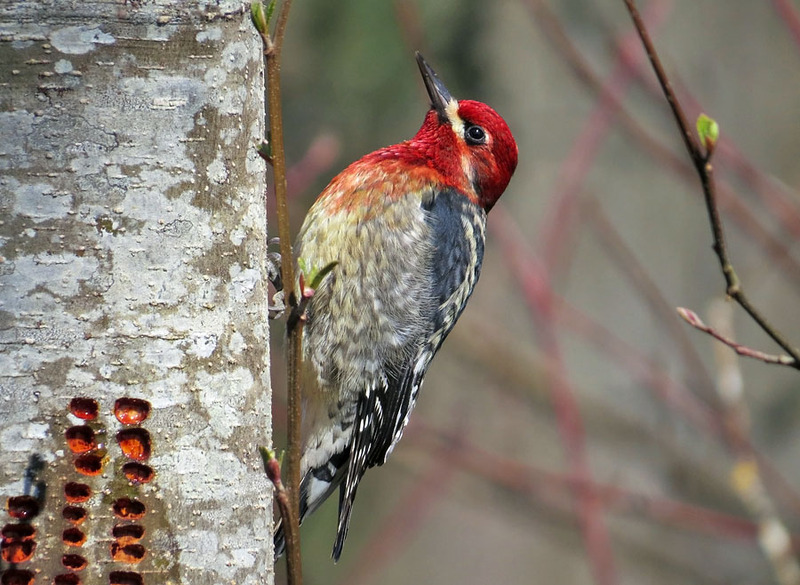 Leave a wildlife snag, as a home for woodpeckers!